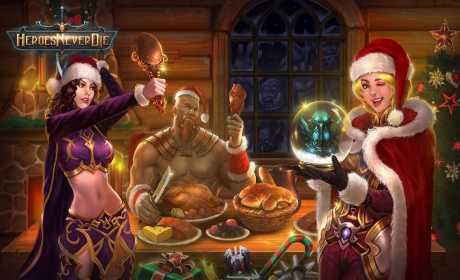 Heroes Never Die is an Action Tower-Defense Mobile Game that takes place in a dark fantasy world. As a hero of the Arde Continent, you must protect your home from invading monsters! * Perfect combination of action role-playing and tower defense games. * Use towers and traps to make your unique defense line. * 3 heroes, each with unique skills and talents. * Collect and upgrade weapons and armors. 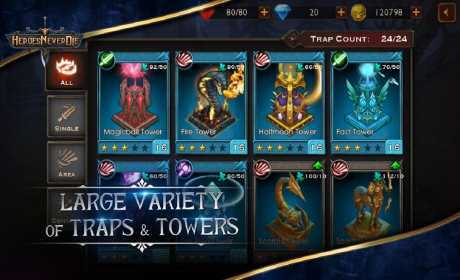 * Constellation Tower Series– Scorpio Tower & Sagittarius Tower. * One of the best games of my life. Outstanding, very good, simple and fun interface. * This game rocks. I really love it. Whenever I get chance to play it, I play it. * Excellent game of tower defense and strategy plus the fact that you can control a hero. * Tower Defense with RPG, great combination! Spectacular game. Without a doubt one of the best I’ve played. I strongly recommend!